Do you need help? Please call us at 905-433-0929. Friday, Saturday, Sunday and Monday. It was a starburst seen from coast to coast on Wednesday night’s edition of The Tonight Show Starring Jimmy Fallon. 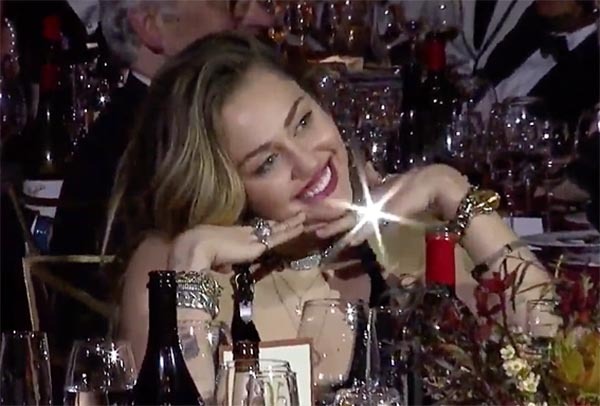 The burst emanating from Miley Cyrus’ new wedding ring was so big and so bright that new spouse Liam Hemsworth joked that the visual effect might have been a product of CGI (computer-generated imagery). Acclaimed Australian actor Hemsworth, 29, and pop star Cyrus, 26, tied the knot in a low-key ceremony at their home in Franklin, Tenn., in December. And when Hemsworth was awarded the G’Day USA Excellence in Film award in Los Angeles on January 26, the actor was sure to thank his new bride. At that point, viewers were treated to a reaction shot of Cyrus in the audience. Beaming with a wide smile and her head tilted in an adorable pose, the singer raised her diamond-adorned fingers up to her chin. She was wearing multiple bracelets, necklaces and rings on every finger. One of those rings was her brand new diamond wedding band. As she moved her hands ever so slightly, the diamonds on her left hand caught the light and generated a bright starburst, the kind photographers covet when shooting fine jewelry. 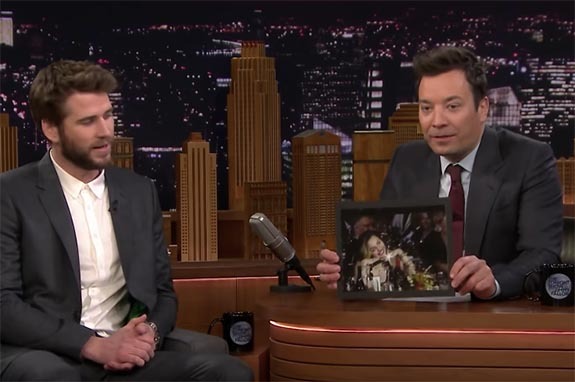 On Wednesday night, Cyrus’ ring and the giant burst were the subjects of a fun exchange between Hemsworth and Fallon on The Tonight Show. “She was kind of heckling you from the crowd,” said Fallon. 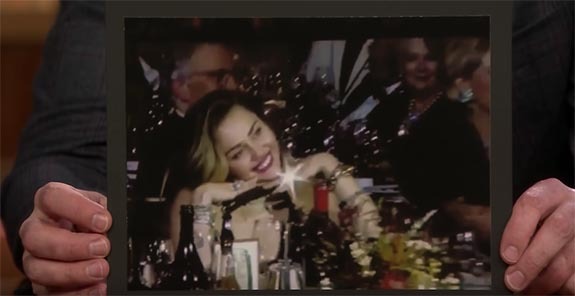 At that point, Fallon displayed to the studio audience a still shot of Cyrus at the awards show and the very obvious six-pointed starburst. 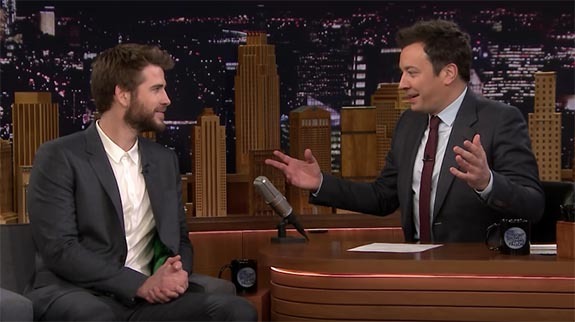 “It was a real b-o-o-i-n-g,” Fallon said, trying to imitate Hemsworth’s take on what a starburst sounds like. “Yes, she’s brainwashed me,” Hemsworth concluded.